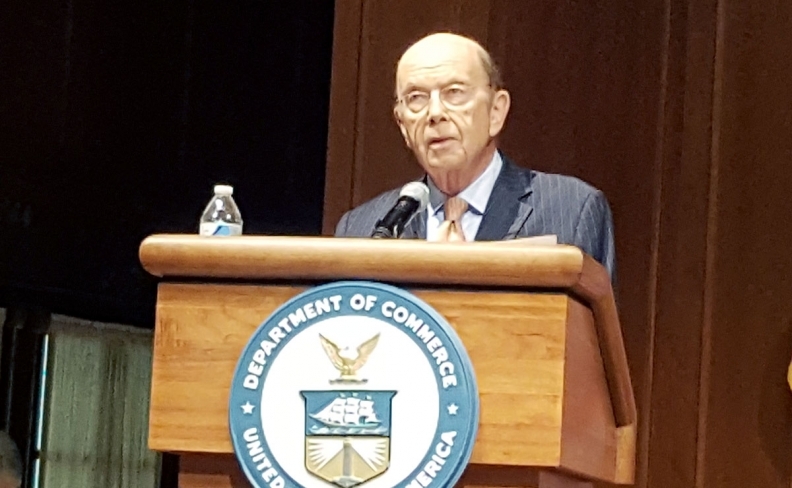 Wilbur Ross has long advocated strengthening the rules of origin for the auto industry as a way to bring back automotive production from Asia and other non-NAFTA countries. DAVOS, Switzerland — U.S. Commerce Secretary Wilbur Ross thinks Prime Minister Justin Trudeau used his speech at the World Economic Forum on Jan. 23 to apply pressure on the United States in the NAFTA renegotiation. Trudeau said Canada and the 10 remaining members of the TPP had revised their trade pact in the wake of the U.S. withdrawal and was "working very hard" to convince President Donald Trump about the merits of the North American Free Trade Agreement. Ross, who arrived at the WEF in Davos on Jan. 24, told reporters Trudeau's speech was designed "to put a little pressure on the U.S. in the NAFTA talks." Treasury Secretary Steven Mnuchin added that the Trump administration believes in "bilateral trading agreements" but wants to make sure "U.S. opportunities are equal to other people's opportunities in the U.S."
Trudeau's announcement about the new TPP came as the NAFTA partners gathered in Montreal for a week of negotiations. "It's pretty much separate tracks," Canada's lead negotiator Steve Verheul told The Canadian Press in Montreal.